We all have toilets and we like when they run smoothly. We don’t really think about our septic systems when they are working but where does all of that discharge go? Well it goes into your septic tank of course and over time your tank will become full. It is a very important thing to know how your home waste water treatment system handles your waste so that you can understand the benefits of septic tank cleaning for you and also for the environment. Septic tank home waste water treatment systems are designed to recycle the waste water that is produced by your family (or business) and then return it back into the environment. Of course as you can see it’s important that the recycling process run as smooth and clean as possible since the waste is being introduced back into the environment. If your septic system isn’t properly maintained then the recycling process can actually be very dangerous for you and your family as well as introduce risks to the public health and the natural environment, including your neighbours. When discussing your septic tank, the key terms are the leaching bed and the tile bed. Your septic tank is the central component of your home’s waste system that separates each toilet flush, bathwater and even laundry discharge into sludge, liquid and scum. When your septic system is functioning properly the bacteria breaks down this sludge so that it becomes cleaner and does not pose a threat to the environment or your family. Even though the bacteria do a great job of breaking down the waste material, there will be some solids that are not broken down and this build up is what, over time, will need to be pumped out to keep your septic system running optimally. The liquids that pass through your septic tank flow through a network of underground pipes and into the tile bed. To make sure your septic system doesn’t become backed up in a case where it stops doing its job, it is important to have your septic tank system cleaned or at least inspected every 2-5 years. Failure to have your septic system inspected, pumped and maintained regularly can lead to very costly repairs and/or replacement of your septic tank system. Additionally, if you don’t clean your septic tank system in Ottawa then you can also introduce harmful materials into the natural environment that can make you, your family, and your neighbours unhealthy and at risk from contamination. When your septic tank system is working properly, the naturally occurring bacteria break down the sludge and the scum. If you have an excess buildup of solids that haven’t been broken down then this could mean real trouble for your septic tank system that can lead to spending a lot more than necessary on costly septic tank repairs and maintenance. 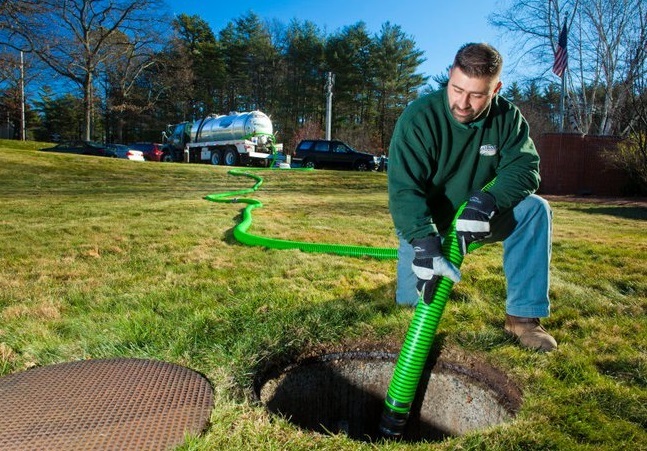 The best way to maintain your septic tank system is to have your Ottawa septic tank pumping service completed every few years to ensure that your septic tank cleaning prevents these costly situations that can also be harmful to you and the environment. Your septic tank cleaning professionals in Ottawa are just a phone call or email away. Contact us today for professional septic tank cleaning in Ottawa.